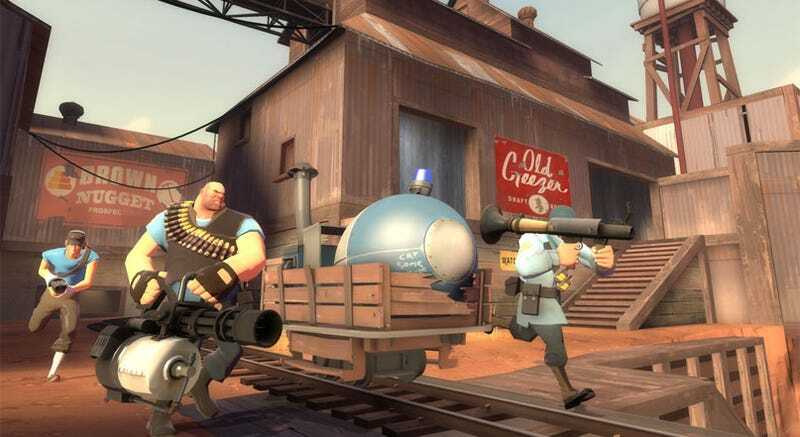 Valve's team-based shooter Team Fortress 2 may have at least one more gameplay mode left in it, according to the developer's Robin Walker. On top of that, a tenth class is in the works. You're just going to have to wait a while to see what that tenth class — previously teased in a Left 4 Dead Easter egg — might be, especially since Walker tells the Escapist ""We've got several new class designs floating around, some of which we like a lot." Valve has to get the rest of the class updates — and those Xbox 360 version changes! — out first, with the Scout currently on deck for a revamp. Even more changes are coming to TF2, according to Walker, including "some riskier, and hopefully more fun, design choices in the near future." The last gameplay mode Valve added, "Payload," was partially a result of fan requests, something Walker says the developer looks to for inspiration. Walker dishes some heavy hints on what those might be — hello, massive Engineer changes — but you'll have to read the entire interview to find out what they are.